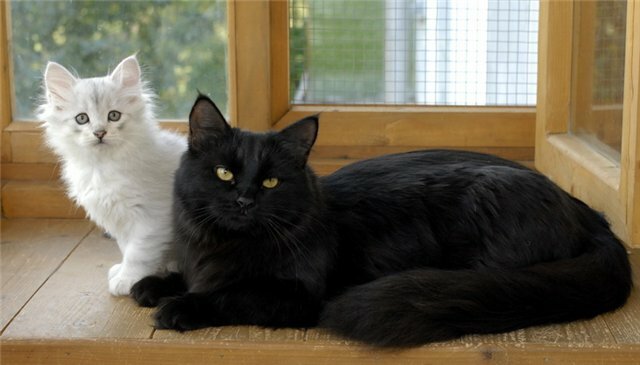 Siberian cats have so many different colors! You can see this picture and fill how different they can look. 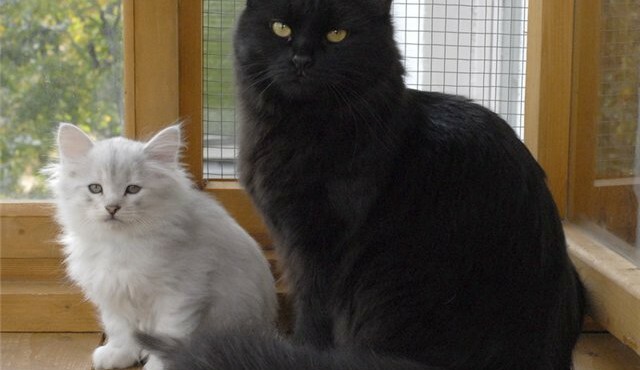 Our black female Zvenislava Malakhit and silver shaded Zephir Onix Gloria look like Otello and Desdemona (or vice versa — LOL). 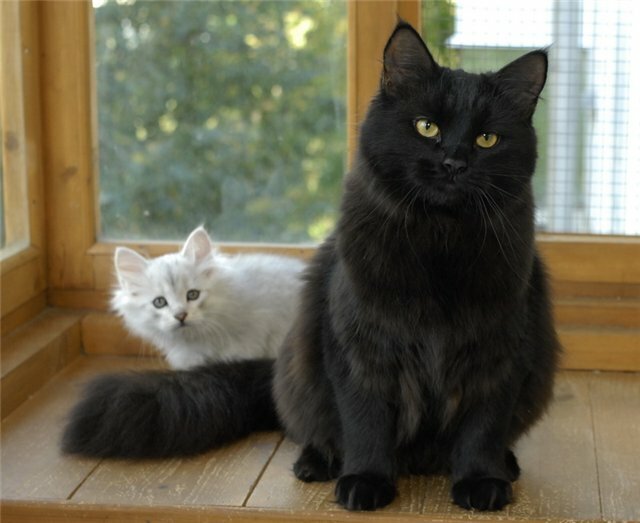 Dear Janie, I will send you e-mail about this silver shaded kitten. 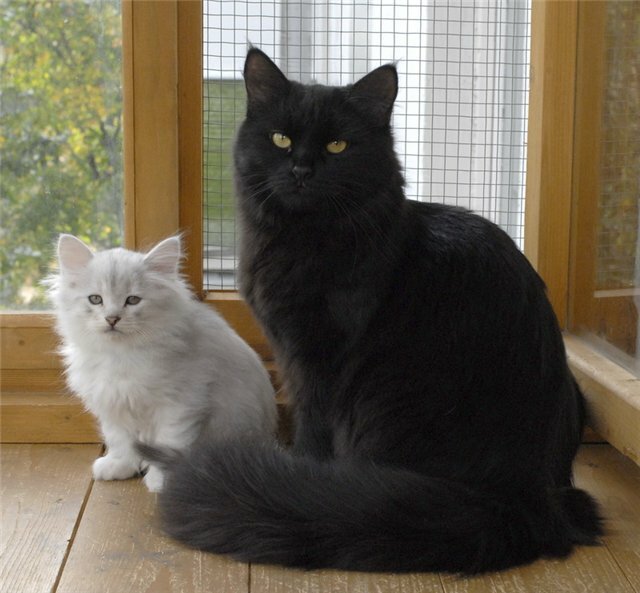 I am so looking forward to a shaded silver kitten! Can’t wait to hear you are expecting! !